There’s a reason to celebrate every day. 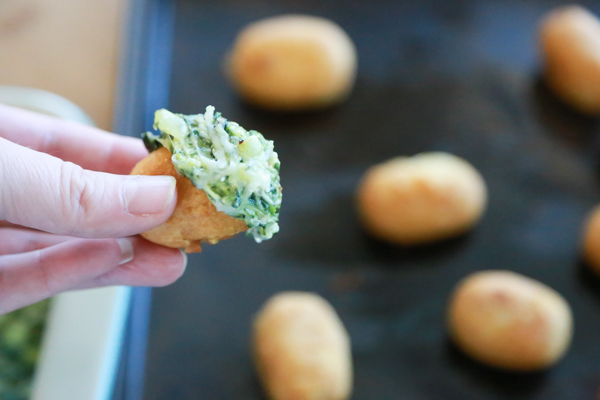 On March 17th, join me as I celebrate National Corn Dog Day with this delicious Cheesy Hot Spinach Dip featuring State Fair® Mini Corn Dogs. If you look at a National Day calendar, you will see that there is a reason to celebrate every single day of the year. 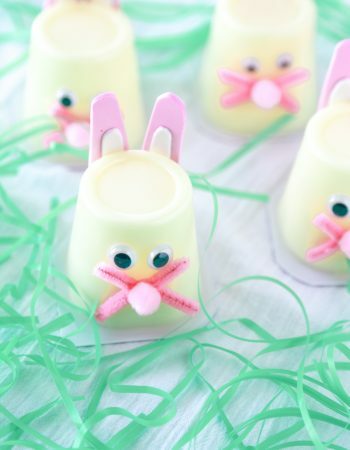 I like celebrations, so I try to celebrate some of these days with the kids by making special recipes, games, or some other type of fun activity I know they will enjoy. With National Corn Dog Day and St. Patrick’s Day coming up soon, I wanted to create a delicious recipe perfect for both occasions. 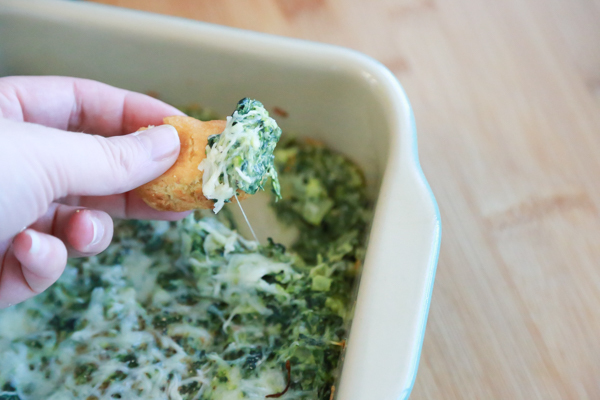 This Cheesy Hot Spinach Dip is the perfect color for St. Patrick’s Day and the perfect way to dip your corn dog on National Corn Dog Day. What do you say – lets get to it! This Cheesy Hot Spinach Dip is really pretty easy to make. Sometimes I like to take short cuts and instead of chopping the spinach, I just throw it into the food processor, give it a few pulses, and then use it that way. I find it is quicker for me, but if you’re quick with a knife with those ninja knife skills, the old traditional way may be easier for you. I love serving this Cheesy Hot Spinach Dip because it’s something that everyone loves and it’s so easy for me to throw together. While I wouldn’t normally serve it with mini corn dogs (just because I’ve never thought about it before), I love the way all the flavors come together in the mouth. 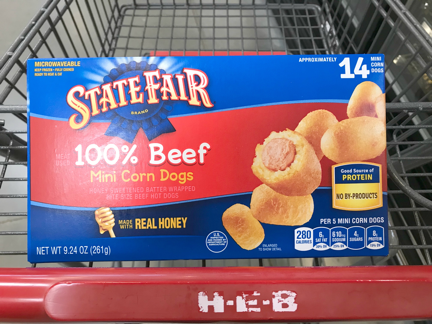 It’s the perfect dip for the State Fair® Mini Corn Dogs I picked up in the freezer aisle at H-E-B the other day. YUM! State Fair Corn Dogs provide 6 grams of protein per serving and they are so yummy! They’re a great snack and/or meal when you’re running short on time and need something on the table quickly! 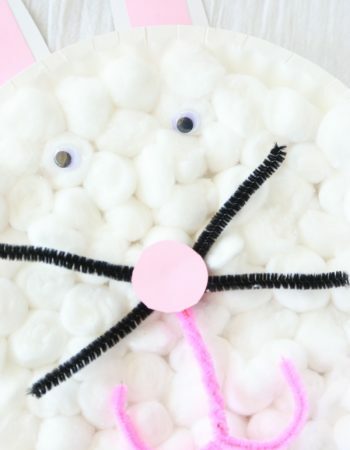 Preheat oven to 425° F. Spray a 1-quart baking dish with non-stick spray; set aside. In a large pot, heat oil over medium heat. Add onion and garlic and cook for about 5-6 minutes or until lightly browned. Add spinach and cook until completely wilted, about 5-6 minutes. 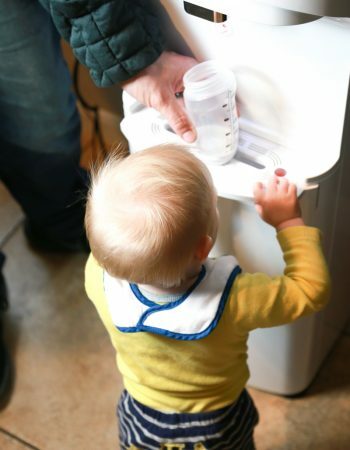 Transfer to a colander and press to release all the excess liquid. In the same pot, warm milk over high heat. Stir in cream cheese until melted. Add spinach back into the pot, and add Worcestershire sauce, 1/2 cup mozzarella, and salt & pepper; stir to combine. Pour mixture into the prepared baking dish and sprinkle with the remaining 1/2 cup of mozzarella. 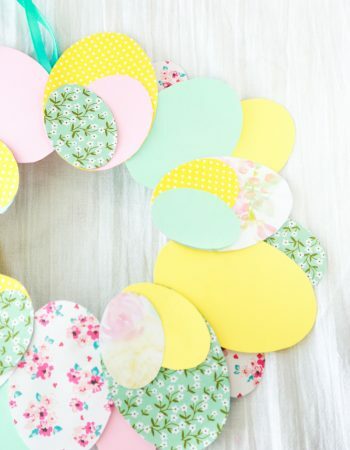 Bake for about 10 - 15 minutes, or until bubbly and golden brown. Serve while hot. Pair with State Fair® Corn Dogs; cook according to instructions on packaging. 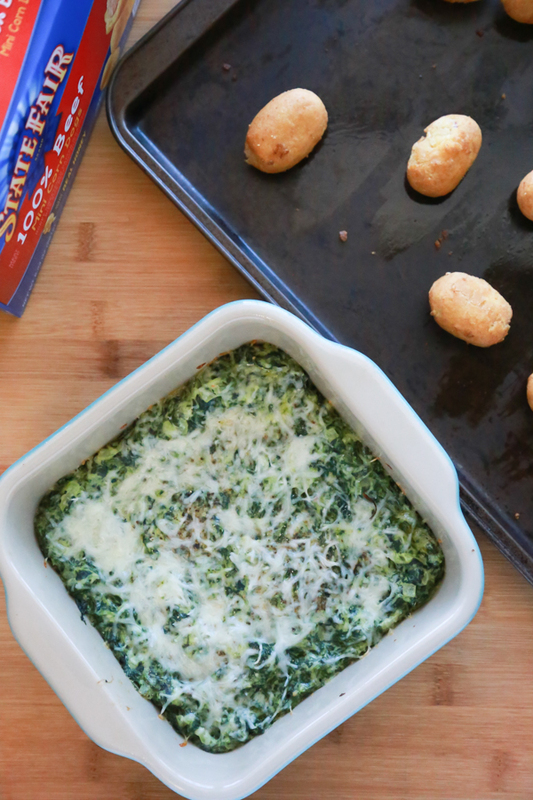 Don’t forget to pin this Cheesy Hot Spinach Dip recipe to one of your Pinterest boards. If you’re not following me, feel free to follow me now. That looks so good! I’m a big fan of spinach dip. I always serve it at parties. I’ll have to give this variation a try. I love spinach dip but, I can not get my kids to try it. I’m going to give this a try to see if they will at least try it this looks so delicious! What a unique combination with using the mini dogs! I am always looking for ways to incorporate spinach into our life here, this is an easy enough way and it looks yummy! I am a huge cheese addict, can’t wait to try your cheesy hot spinach dip! 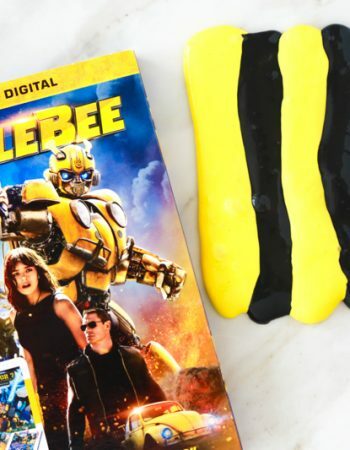 Looks like a great appetizer for a movie that we have planned with some friends. This all looks so delicious! 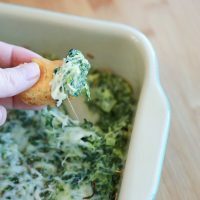 I love corn dogs and cheesy spinach dip, but never thought of combining the 2!